Karen Uhlenbeck just made history. The mathematician is the first woman to win the Abel prize — an award often referred to as the “Nobel prize” of mathematics. 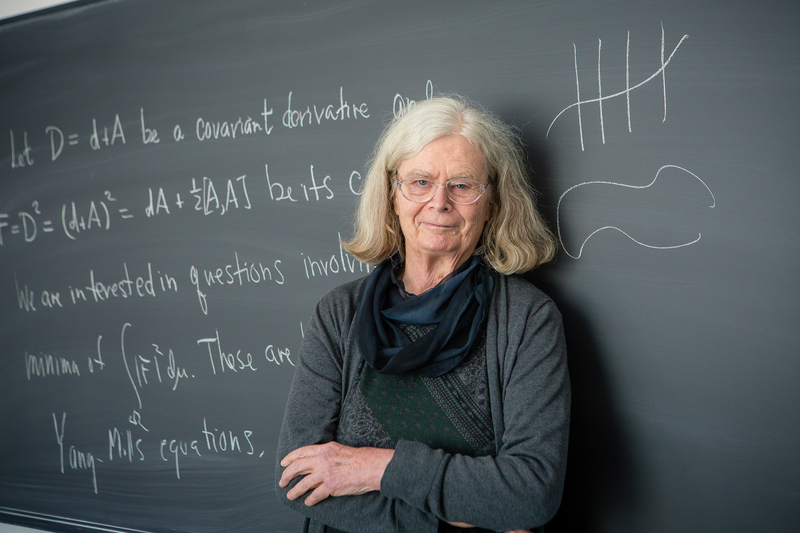 Uhlenbeck, 76, was awarded the $700,000 prize for her work in gauge theory and geometric analysis. For those who don’t know what gauge theory is (ahem, me), the theory “underpins much of modern theoretical physic, and is integral to cutting-edge research in particle physics, general relativity and string theory,” according to New Scientist. Uhlenbeck is currently a visiting associate at the Institute for Advanced Study and learned she won the award on March 17 after attending church. She will officially be presented the award by the Norwegian Academy of Science and Letters in Oslo on May 21. While Uhlenbeck is taking home the Abel prize, this isn’t the mathematician’s first accolade. She was given a MacArthur Fellowship in 1983 and was just the second woman in history to give a highlighted plenary talk at the International Congress of Mathematics. Uhlenbeck has undeniably made leaps and bounds within mathematics, but it’s equally important to highlight that work she’s done for women in STEM and beyond. An advocate for diversity in the field, her work for a more equal future is just as award-worthy as her scientific breakthroughs.